You know that song "G Senjou no Cinderella" by the Aqours 3rd Years? 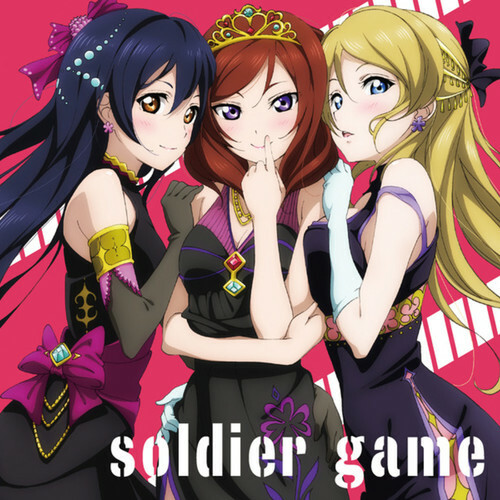 Well... how would it sound if it were sung by the beloved Soldier Game trio? That's what this project aims to accomplish! 1. We will be singing in Japanese, so please make sure your audition is in Japanese! 2. The project will stay open until June 9th, 2017 before final casting decisions are made. So basically even if I really like your audition before then, I likely won't cast it until the casting call is officially closed. 3. Please be familiar with the original song! I'm happy to welcome in those who are new to Love Live! but the project will go much more smoothly upon knowing what you'll be singing. You can find the song HERE! 4. I plan to post the final mix to my YouTube channel so if you're going to audition, please keep that in mind! 1. You must be nice to all fellow members auditioning! We want this project to be fun and inclusive - not stressful & filled with negativity! 2. You must have access to either an email, Skype, or Discord. Our mode of communication will be Discord, but I am happy to reach out to anyone through the other two methods if need be. 4. The lines will be due a month later from the casting call (July 9th, 2017 ) so be sure to be active during that time! Umi has a deep and powerful voice that suits Dia's strong attitude. Maki has a fierce and slightly nasal voice that suits perfectly the flirtatious tone of Mari's lines. Eli has a softer but well-controlled voice that suits Kanan's laidback attitude. Place an audition here if you'd like to know you who sound like! Send a video you have created to my email: [email protected]!